Australia is one of the most popular destinations for international students seeking a world-class education experience – and Australia has alumni from every corner of the globe. More than 2.5 million international students have studied in Australia over the last fifty years, including over 11,000 Papua New Guineans. Over 80,000 alumni received Australian Government scholarships and fellowships from the Colombo Plan in the 1950s through the Australia Awards and the New Colombo Plan today. The Government has developed an Australia Global Alumni Engagement Strategy to reach out to the global alumni community, inviting alumni to connect and engage with Australia and the region. The Papua New Guinea Australia Alumni Association (PNGAAA) is one of the most recognised associations in the country. 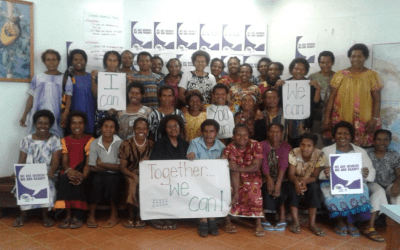 Established in 2006, the Association provides support to Papua New Guineans who have studied in Australia or with Australian government support in PNG. It is a network designed to keep alumni connected with each other and with Australian institutions and people. 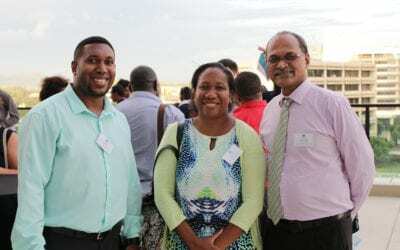 There are more than 3,000 members across the country who are professional Papua New Guineans in leadership positions from a variety of sectors including public service, private industry, healthcare, and entrepreneurship. The Association delivers professional development training and networking services to its members. PNGAAA is an avenue for the exchange of ideas and intellectual debate on issues of national interest including direct input into the implementation of the Government of PNG’s Vision 2050 and development plan. The Association supports local and national sustainable development efforts through grant assistance and volunteering services. The Alumni Grant Scheme (AGS) is a joint initiative of Australia Awards in Papua New Guinea and PNGAAA to support alumni to contribute to Papua New Guinea’s economic and social development and build strong and positive relationships with Australia. The AGS aims to assist alumni, in conjunction with their employers or community organisations, to contribute to sustainable development impacts in Papua New Guinea. The Australia Alumni Awards recognise and honour alumni of Australian educational institutions in Papua New Guinea who have made outstanding contributions to their profession, community, and country through their exemplary leadership, integrity, innovation, and hard work. Supported by the Australian High Commission in PNG the awards are distinguished honours for those who are an inspiration through their local, national, and international network and achievements. Jean Jano from Fayantina LLG works at Eastern Highlands Family Voice and is dedicated to the elimination of violence perpetrated against women and girls.